Quantitative characterization of environmental characteristics of cropland (ECC) plays an important role in maintaining sustainable development of agricultural systems and ensuring regional food security. 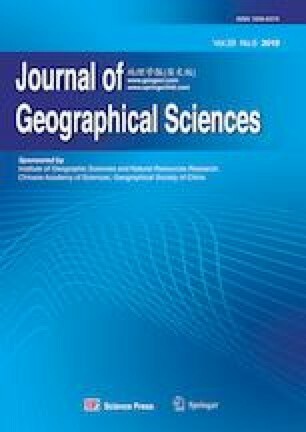 In this study, the changes in ECC over the Songnen Plain, a major grain crops production region in Northeast China, were investigated for the period 1990–2015. The results revealed significant changes in climate conditions, soil physical properties and cropland use patterns with socioeconomic activities. Trends in climate parameters showed increasing temperature (+0.49°C/decade, p < 0.05) and decreasing wind speed (–0.3 m/s/decade, p < 0.01) for the growing season, while sunshine hours and precipitation exhibited non-significant trends. Four topsoil parameters including soil organic carbon (SOC), clay, bulk density and pH, indicated deteriorating soil conditions across most of the croplands, although some do exhibited slight improvement. The changing amplitude for each of the four above parameters ranged within–0.052 to 0.029 kg C/kg,–0.38 to 0.30,–0.60 to 0.39 g/cm3,–3.29 to 2.34, respectively. Crop production significantly increased (44.0 million tons) with increasing sown area of croplands (~2.5 million ha) and fertilizer application (~2.5 million tons). The study reveals the dynamics of ECC in the Songnen Plain with intensive cultivation from 1990 to 2015. Population growth, economic development, and policy reform are shown to strongly influence the spatiotemporal changes in cropland characteristics. The study potentially provides valuable scientific information to support sustainable agroecosystem management in the context of global climate change and national socioeconomic development.